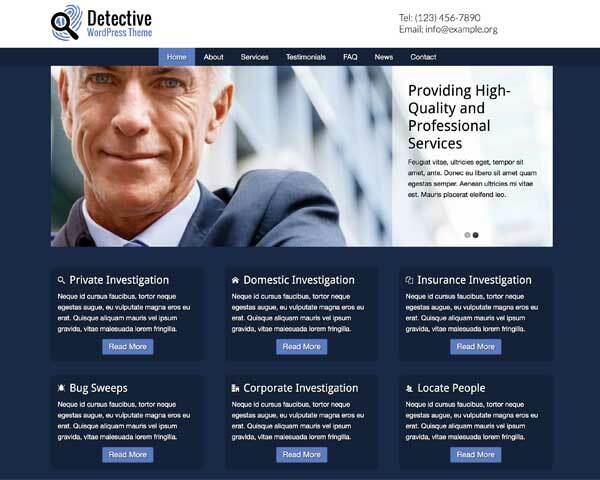 Building a website for a private security companies is easier than ever with the Security Services WordPress theme. Make a great impression online and convince clients of your professionalism and dependable service. 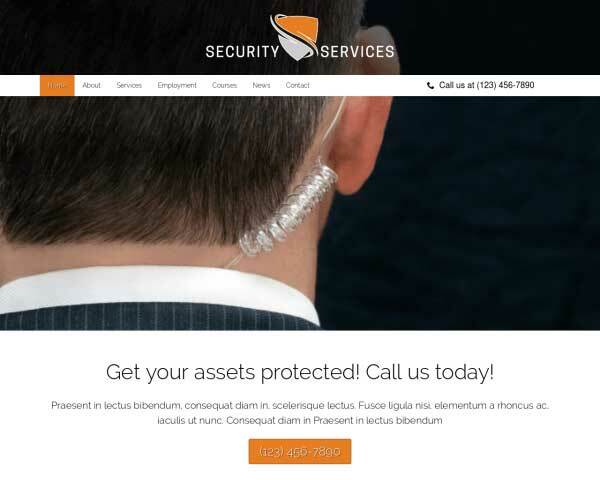 With the Security Services WordPress theme, we've made it manageable and affordable to quickly build a professional website for your security company. Already set up with pages for details about your security services, employment opportunities, security courses and more, all it takes to get your complete website online is to replace the demo text and upload your own images. The color scheme and page layouts area easily customized using our unique front-end editing tool and drag and drop widgets. No coding skills are required! We've included premium features like integrated social media, a helpful SEO manager and solid responsive design. Interested candidates can even apply online through built-in contact forms that can be tailored to suit your needs. 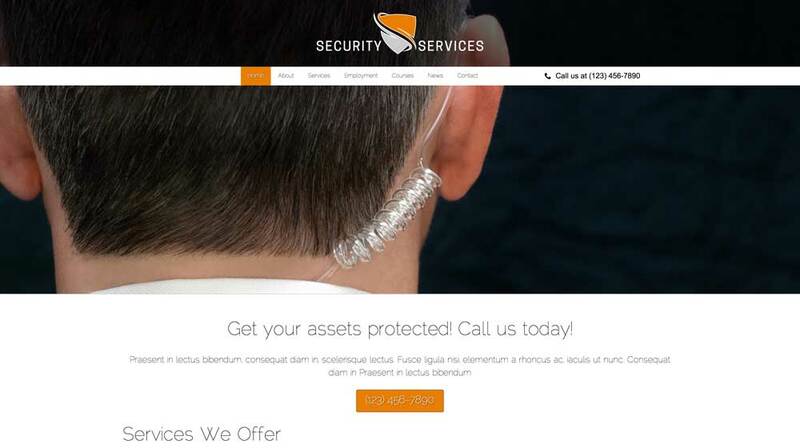 With your own content in place, the Security Services WordPress theme helps you convey your message of experienced, reliable security and reach more clients online. Although WordPress has moved away from being a straight blogging platform, the Security Services WordPress Theme couldn't do without these powerful features. 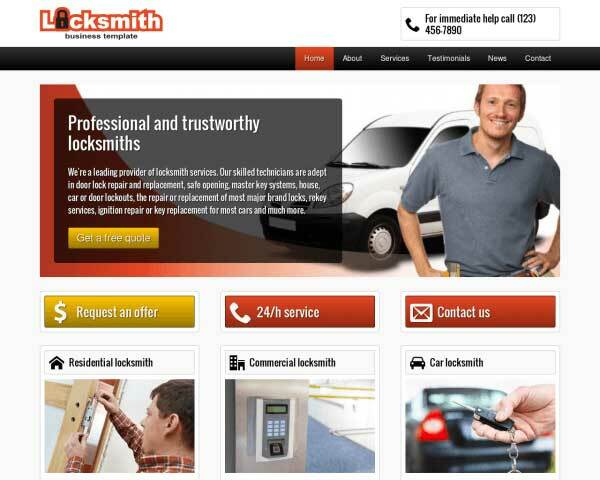 The Security Services WordPress Theme is designed with the specific business needs of security experts in mind. With the important pages and features already in place, your website is more than halfway there! An important goal for any website is to getting your audience to take action. This WordPress theme for security experts has highlighted spots where you can place your calls-to-action. Every business website needs clear contact information. The Security Services WordPress Theme's contact page includes a Google map, route planner and customizable contact form. 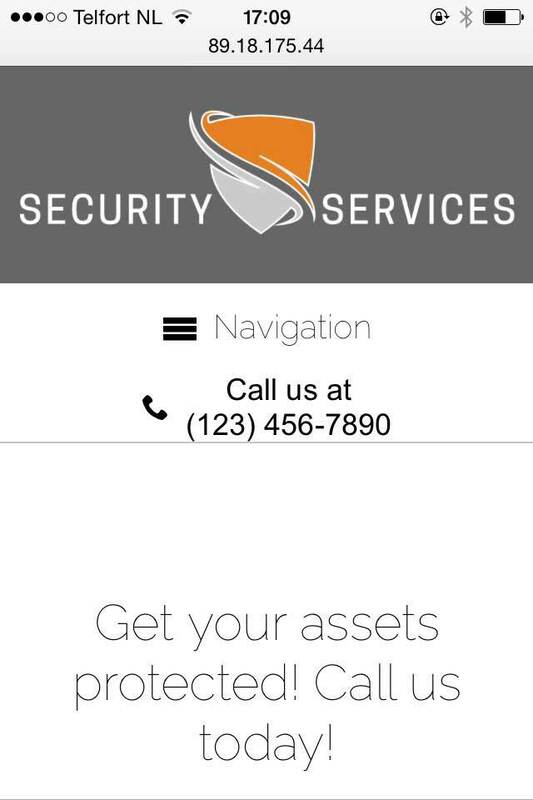 Share your unique and appealing offerings on the service detail pages of the Security Services WordPress Theme. Simply replace the text and images with your own. 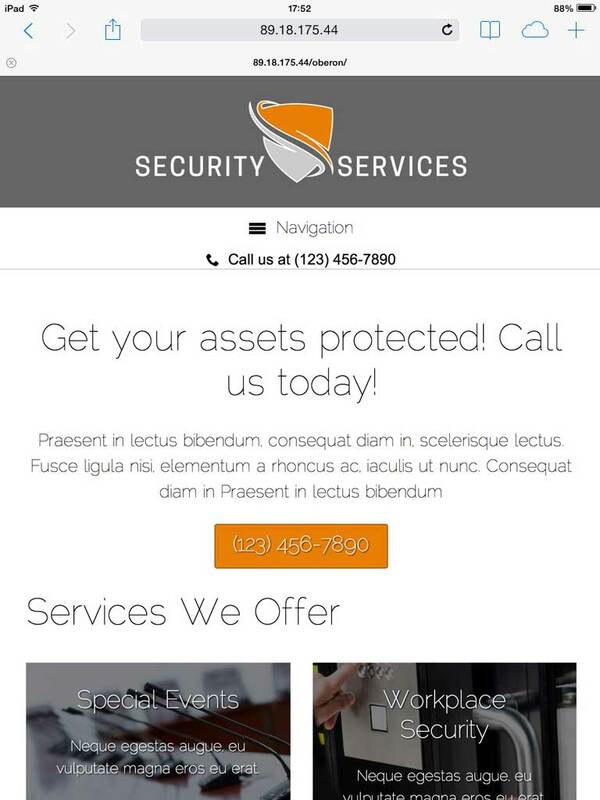 Present visitors with a quick overview of your services on the homepage of the Security Services WordPress Theme, allowing them to navigate directly to that page with one click. The Security Services WordPress Theme features attractive icons for the most popular social media platforms, allowing visitors to easily follow you online or share your content on their own pages. 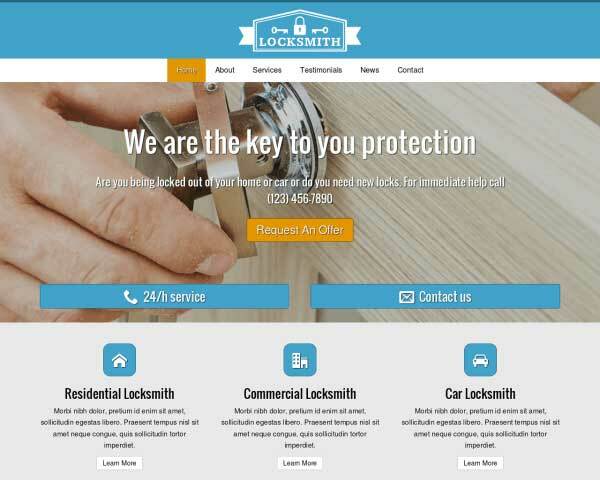 Introduce your team of security experts on the about us page of this pre-built WordPress theme. Including photos and short bios gives your website a personal touch. 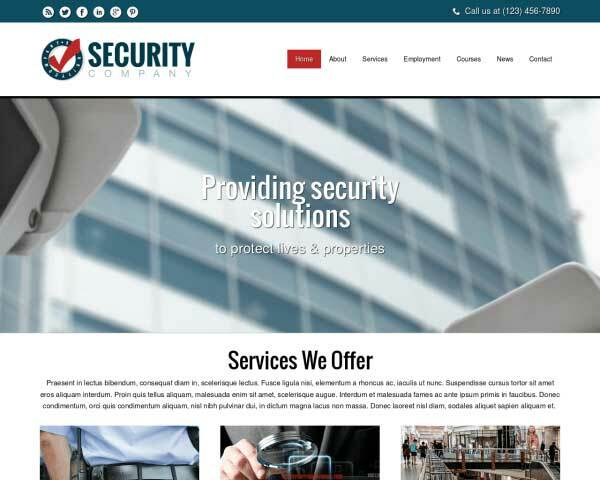 Great for growing businesses, the Security Services WordPress Theme is set up with a page to advertise vacancies and offer information about working at your security company. 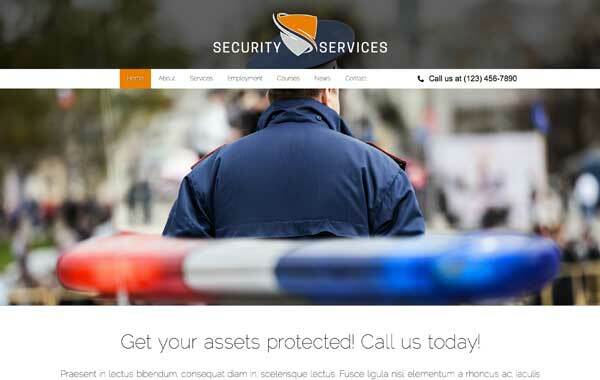 Make sure that all visitors to your security company website experience the same professional design and functionality with the Security Services WordPress theme. Mobile-optimized for all handheld devices, this responsive website template will adjust the layout of your text and images to display neatly on any screen size without any additional coding or plugins required. 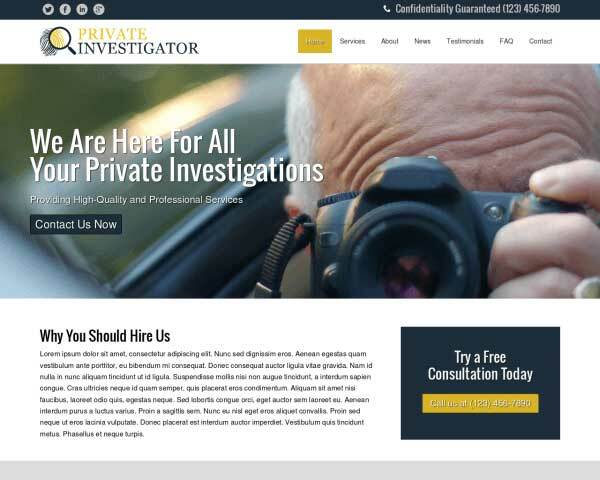 Whether searching for searching for your security services on desktops, smartphones or tablets, clients will be impressed with the great looks and intuitive navigation of your new website.